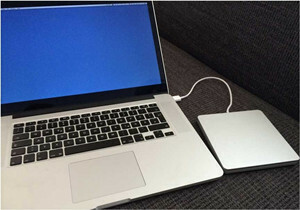 As Apple has vanished the disc drive from its newer Macs to make them slimmer, many users are asking about how to play DVD on MacBook Air or Pro released after 2008 which have no disc drive. To help those Mac users out, and those who have a built-in drive but still encounter DVD won't play or DVD player not working problems, here we share a comprehensive guide for you to watch DVD movies and TV shows on Mac (MacBook Air/Pro etc) without error. Solve any DVD not playing on Mac, Mac DVD hard drive not working problems etc by ripping any DVD (protected) to MP4, MOV, M4V etc for region code-free playback in QT, VLC other media players. To enable a successful playback, insert the DVD into the disc drive and the DVD player for Mac will automatically play the movie. But for newer MacBook Air/Pro, it may be a little bit tricky as there is no hard drive. Here we share two ways on how to watch DVD on Mac without DVD drive: external DVD drive or best DVD ripper for Mac. Since there is no built-in disc drive in your Mac, you can get an external DVD drive for DVD playback on Mac. Apple provides a USB SuperDrive at £65 that works on iMac, Mac mini, MacBook Pro with Retina Display or MacBook Air. 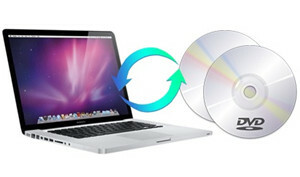 If the Mac DVD hard drive not working for you, there are many other DVD drives available at cheap price. Then you can watch the DVD with a Mac DVD player as normal. Taking an external disc drive, or the cumbersome DVD discs will increase the burden when you are in travel or on the fly. So there is another more convenient option for you: rip the DVDs and play movies on Mac computers on the go. There are many tools for this job, here we will recommend you MacX DVD Ripper Pro. It works on Mac (macOS Sierra) and Windows (10) to rip any homemade/protected movies to MOV, MP4, M4V, AVI etc for free playback on any QT, VLC, KMPlayer without region code limits or any other trouble. It's fast with no quality loss. Notice: The DVD ripper developer only advocates using this self-contained Mac DVD ripper to rip and convert DVDs for legal personal use, instead of illegal reproduction or distribution of copyrighted content. Please obey your local DVD copyright law before doing it. DO NOT do harm to others' lawful rights and interests. 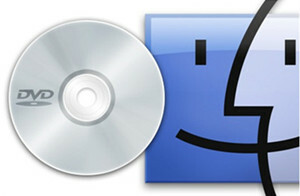 When users insert the disc and try to play the movie, they may still meet various DVD playback issues on Mac computer. Here we also include a comprehensive solution to different kinds of DVD playing issues on Mac, hoping you have a smooth Mac DVD playback experience. 1. There may be some dirty on the disc that prevents the drive reading it, then you need to clean the DVD or CD disc: wipe the surface of the disc with a soft and damp cloth, wiping from the center to edge. 2. There may be some dust on the lens of the DVD drive. You can clean the disc drive with a professional cleaner, or clean it carefully with tools like card and cloth. 3. Change your user preferences: Open Disk Utilites > click Hard drive partition > click on the *Repair Disk Permissions* button. Some users are complaining that they can't watch DVD on MacBook Air/Pro, iMac etc after upgrade to new Mac operating system. If you have the same problem, you are suggested to reset the Mac's SMC. Any scratch or tiny damage on the disc can prevent the DVD drive from reading discs on Mac. If so, you may try to fix the damaged DVD discs with some tips like using vaseline or Banana skin, toothpaste, candle wax to fix the surface of the DVDs, or rip the damaged DVD for digital playback. Rip any DVD movies (protected by Region Code, DVD CSS, RCE, Sony ArccOS, Disney etc) to MP4, MOV, AVI other digital formats for easy playback on Mac iPhone iPad Android devices. 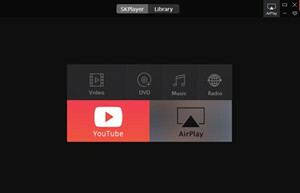 Since Apple's DVD player has tough region limits, if you need to play multiple regional DVDs on Mac computers, Just switch to region-free player. At last, we recommend you two players that are expert in playing DVD on Mac computers without limits of region codes, DVD player no sound or no pictures. This DVD player for Mac is relatively new to some users, but it does an awesome job in playing DVD movies. It's totally 100% free, without any ads, malware or spyware. But it's professional to play non-standard DVD like Adult DVD, workout DVD and standard DVD but protected by CSS, Region Code, RCE, Disney etc, ISO image, DVD folder as well as most other media UHD/HD, 3D videos. 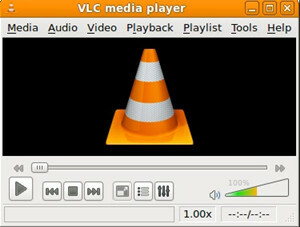 Users can also switch Apple DVD player to VLC as a wordaround. VLC is a free and cross-platform media player that allows both Mac and Windows users to play DVDs, CDs, VCDs and various other digital media effortlessly. With VLC player, users can enjoy an experience of region-free DVD playback on Mac without modifying any hardware or firmware settings. 1. Media converter and streaming, encodes outbound streams. 2. Excellent playback quality and stability. 3. Integration with web channel streaming services. 2. Some playback issues like VLC won't play MKV, VLC subtitle delay, VLC audio sync errors etc. macOS Mojave features an updated 64-bit DVD Player, which means you are free to play DVDs on Mac with a built-in DVD drive or an optional one. Play DVD on Apple TV But Screen Turns Grey? Easy to Solve! Your problem is: watch DVD on Apple TV via Mac's AirPlay but the Apple TV screen is grey? How to stream DVD to Apple TV for successful watching? Solutions are easy peasy. Pretty Cool! Can't believe MacX DVD Ripper Pro lets you rip DVDs on Mac with almost all the video and audio formats! All thanks to this DVD ripper, you can eventually rip DVDs and watch the movies on Mac without discs. Plus, there are also above 350 mobile profiles for you to copy DVDs to iPhone iPad Android Google Microsoft and more devices.